Today we publish the third instalment of our occasional series, in which the Bishop of Edmonton reflects back on his years at theological college. What is he grateful for, and what advice would he give himself now? You can read Bishop Rob’s thoughts here. Bishop Mark is passionate about ordinands receiving training of the highest quality, and formerly served as Warden of Cranmer Hall, Durham. 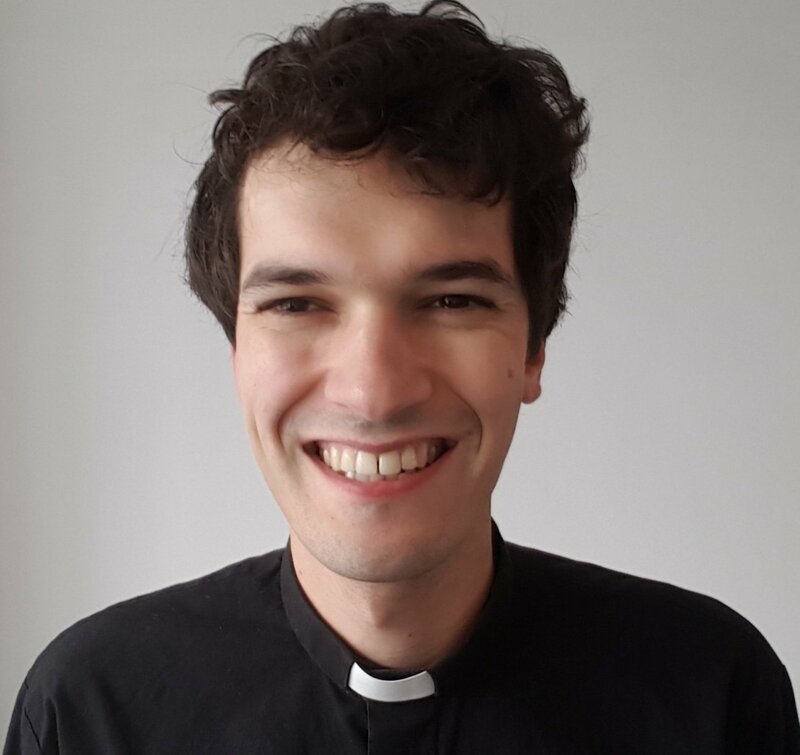 While his role as our Patron does not involve direct responsibility for the management of the Association, he will be a great advocate in the wider church and will be available to advise our Standing Committee. Earlier this year Bishop Mark wrote in our Training Matters series about why the needs of the world demand that ordinands receive the best possible training. Earlier this year, 250 ordinands took part in our national survey – with helpful and interesting results. Between them, these ministers-in-training represent a dozen different training institutions (TEIs), and virtually every diocese (including the Diocese of Europe). Three-quarters are in full-time residential training, and 90% are training for stipendiary ministry. 37% of those who took part were in their first year as an ordinand, 38% were in their final year, and around half had done some prior theological study before commencing training. When ordinands reflect on the quality of the training and care they receive, there are some clear encouragements for dioceses and TEIs who work hard to provide these things. But meanwhile, there are some clear pressure points that come out of our survey. 85% think their course is preparing them “well” or “very well” for ministry life. But only 63% say the same when it comes to weighing up how well their course is preparing them to engage with modern culture and people outside of church. 85% have found their course “enjoyable” or “very enjoyable”, and the same percentage find it academically “suitable” or “very suitable” for them. 16 of the 250 respondents have a physical disability, 32 have a specific learning difficulty, and 30 are living with mental health needs. In each case, around two-thirds say their needs have been met “well” or “very well”. Only one person with a physical disability felt their needs had been met “poorly” or “very poorly”; for those with a specific learning difficulty or with mental health needs that figure was higher, at around 20%. This year we asked first-year students about the discernment process and their transition into training. Support from dioceses was rated highly during the discernment process itself; but sadly it seems this can sometimes evaporate soon after the BAP is completed. In particular, during the crucial time of transition into training, only 29% said they felt they had all the information they needed. 43% would have liked more information about finance, and 42% felt they did not really understand what the nature of the relationship between themselves and their diocese was now supposed to be. Ordinands are clearly undertaking a wide variety of placements and generally finding the experience very positive. Many feel well supported as they come to their last year of training. However, 17% have found the process of getting a curacy “difficult” or “very difficult”, and several questions were raised over a lack of clarity in the process. Moreover, there was a concern expressed by some about an apparent shortage of curacies with missional leaders who will best train them to be effective in reaching a post-Christian culture. Of course, the graphs reproduced above give simple, headline results from multiple-choice questions. But the survey also provided scores of longer responses to more open questions. We can’t reproduce these here, but again they threw up both encouragements and challenges for dioceses and TEIs. One of the key roles of the Ordinands’ Association is to represent ordinands to the Church of England’s Ministry Division, and to aim to ensure that every ordinand receives the best possible training and care from their diocese and TEI. Our Standing Committee have already discussed the survey results with those at Church House responsible for training, with whom we have a very constructive relationship. In addition, the results will be very helpful as we monitor the effects of changes to training and finance which are coming into play this September. A big thank you to every ordinand who took the time to participate! The Ordinands’ Association sincerely and unreservedly apologises for a tweet that was posted from our account on 8th June. This tweet commented on a recent event in a way which was inappropriate, and which was wrongly presented as an official position of the OA and the ordinands it represents, who come from across the breadth of the UK Anglican churches. The tweet was later deleted and replaced with an apology, which we reaffirm now. A meeting of the committee of training institution representatives was held on the 29th June. There it was agreed that, as an association, we are not competent to make statements which affirm or reject any one theological position. These events have highlighted a need for codes of practice governing our use of social media and the circumstances in which, as an Association, we make any kind of public statement. These, we trust, will guard against such things happening in the future. A thorough review of our constitution is taking place and will be presented at our November meeting, which will give us further opportunity to clarify the way we work together to achieve the Association’s objectives. At our meeting, it was made clear that a number of Ordinands have felt alienated from the Association as a result of what happened. This is a source of great regret for us. Our representatives are elected by the ordinand body of each represented training institution; as a result, a wide variety of views are represented on the committee itself. We want to reaffirm our commitment to representing the needs and best interests of all those in training, and hope this will go some way towards reassuring those who have been following these events with concern. Today we launch a mini-series of three articles entitled “Training Matters”. Rt Rev Mark Tanner, Bishop of Berwick, kicks off with a post about how the great and ever-changing needs of the world drive the need for quality theological education. What is a “Distinctive Deacon”? For many clergy, being ordained “deacon” is simply an important step on the way to being ordained “priest” (or “presbyter”) about a year into their curacy. But some people are called to the ministry of the “Distinctive Deaconate”, without any intention that they be ordained to the priesthood or serve as incumbent in a church in the future. This is appropriate in a whole variety of circumstances, including for women whose theological convictions mean they would not want to be ordained priest or serve as a vicar. Distinctive Deacons frequently have a key role in teaching, leadership and pastoral care in their churches. The process and criteria for discerning Distinctive Deacons’ vocations are broadly similar to those used for potential incumbents, and their training is funded and provided on the same basis. Amongst many different types of ministry which the Church calls women and men to is that of the Distinctive Diaconate. This ancient ministry embedded deeply in the Christian Tradition combines elements of being a deacon within the Church, within the wider world and especially in the boundaries between the two. Individual deacons may vary as to which of these areas their ministry might focus upon but it remains a vital and essential ministry within the Church. More can be found on exploring a vocation to the distinctive diaconate at http://vocation.churchofengland.org/distinctive-diaconate/.